December is usually the biggest month of the year for us. 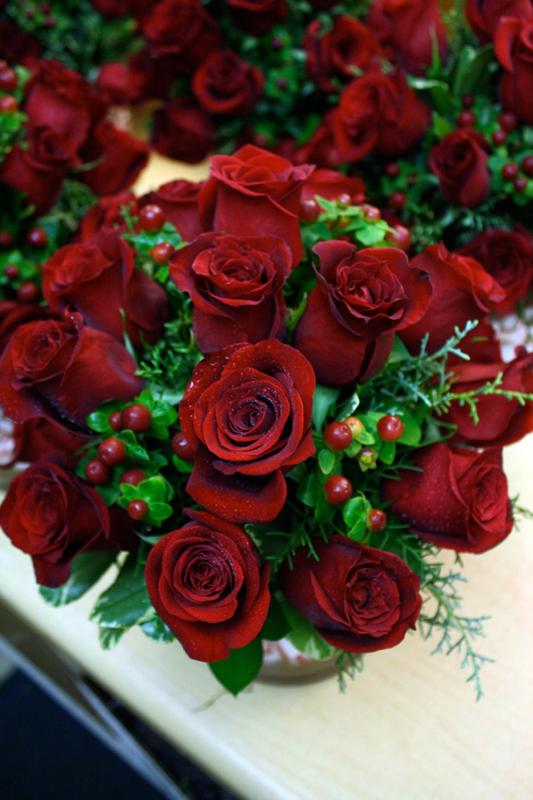 Between Hanukkah, Christmas, event and party florals, and all the fun “boss stuff” that comes with wrapping up the end of the year, we stay pretty busy around our little flower shop. This year, on top of all the usual hustle-and-bustle, I booked five December weddings to add to the holiday cheer. Fa-la-la-la-la! 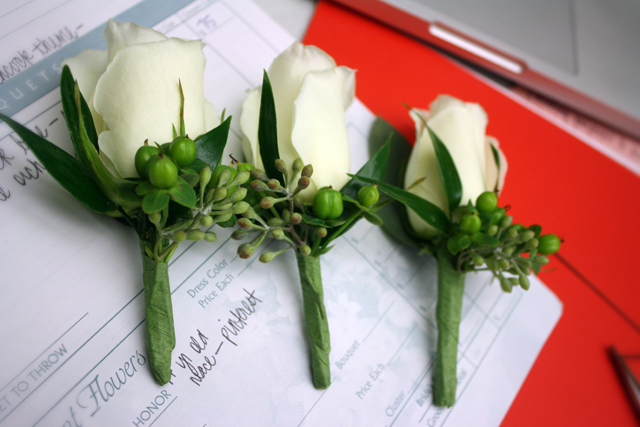 Last weekend, I designed the flowers for a childhood friend’s wintry wedding. I didn’t snap photos of her bouquet (two dozen velvety red roses hand-tied in white satin, so yummy) but I did get a few shots of her centerpieces. She and her sweet — and clearly patient — new husband spent who-knows-how-long unwrapping hundreds (thousands?) 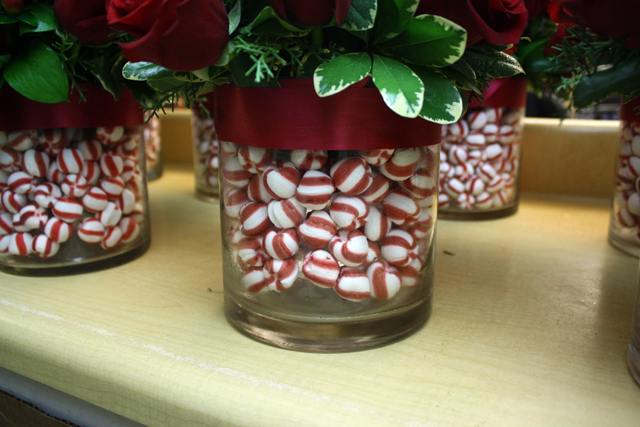 of peppermints to fill 8 cylinder vases for their reception, which I topped with bushels of red roses and wintry greenery. This weekend we’re switching gears for a vintage-inspired lakefront wedding with lots of pastels and burlap. More to come on that one. I always love to see what you do for weddings. The red is really festive! 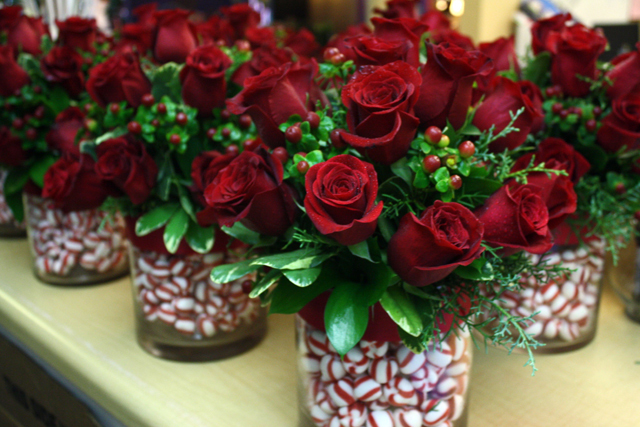 Great centerpieces! They’re so unique!